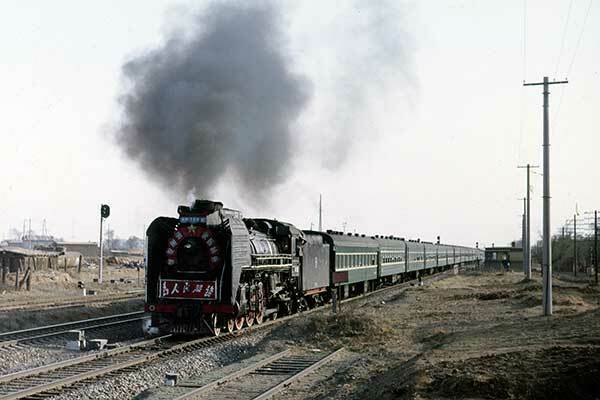 Caption - Chinese Railways RM class 4-6-2 1088 is seen near Qiqihar with a lengthy passenger train typical of the period. Qiqihar had a large allocation of these 4-6-2s most of which were kept in excellent external condition with slogans around the smokebox. The RMs were developed from the SL class pacifics and built between 1958 and 1966 eventually numbering 258 locomotives.